NIA CHARLESTOWN NEVIS (December 14, 2016) — The Nevis Island Administration (NIA) collected $33.20 million in Value Added Tax (VAT) in 2015, representing 24.80 percent of the total annual revenue. Premier of Nevis and Minister of Finance Hon. Vance Amory, made the announcement on tax collection, when he presented the 2017 Budget Address at a recent sitting of the Nevis Island Assembly. He explained that $17.70 million of the VAT collected then was generated from domestic goods and services, including the Tourism Sector. The remaining $15.50million was generated from international trade. Value Added Tax collected during January to September 2016, amounted to $25.69 million. It represented 27.0 percent of the Administration’s total annual revenue for that same period. The Finance Minister stated that the 2016 collection is on par when compared to the $25.7 million collected for the same period in 2015. He added that despite the Administration’s decision to remove VAT on a number of items to bring further relief to citizens, the reduction in the overall VAT collections has been minimal. For the upcoming fiscal period, Mr. Amory stated that the Administration would continue to stimulate additional economic activities to increase the collection of the VAT. “We will continue to enforce our current exemption policy, whereby, no entity is exempted from the payment of this tax except where the law prescribes,” he said. In addition, Mr. Amory explained that they would seek to make it easier for businesses operating on Nevis to pay their VAT into the NIA’s coffers. 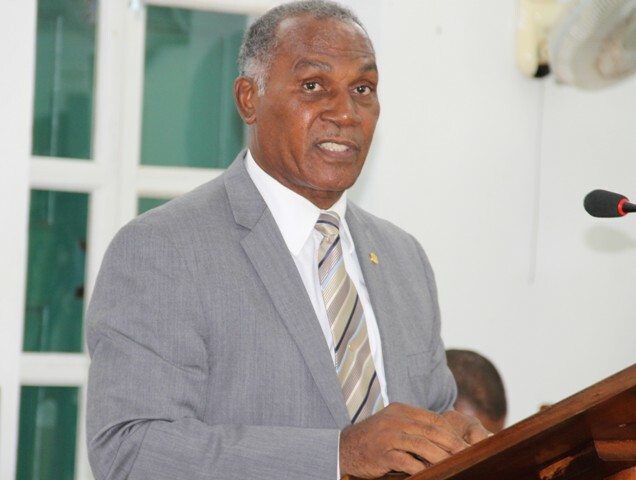 “We will commence discussions with the Federal Government for amendment to the Single Filing Clause of the existing legislation to allow all business entities operating in Nevis, whether as branches or incorporated companies, to file and pay their VAT collection in Nevis. “This will streamline the process of VAT administration for these entities,” he said. However, the Finance Minister noted that the Administration had discontinued the VAT sharing agreement since 2014. He said it had also taken full responsibility for paying refunds to any taxpayer who had previously paid their VAT returns in Nevis and is due a refund in accordance with the law.